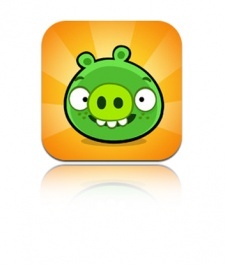 The Charticle: Is Bad Piggies bringing home the bacon for Rovio? The Charticle is PocketGamer.biz's weekly look at the games jostling for position on the app store charts. It covers Apple's App Store, Google Play and the Amazon App Store. When Rovio launches a new game, people tend to pay attention. Officially released on 27 September, Bad Piggies entered the US App Store's top grossing games chart at number 9, before climbing to number 1 a day later. Similarly, Bad Piggies HD debuted at number 3 in the iPad's top grossing games rankings, and reached the top spot a day later. That's a strong showing by any measure, but this title marks Rovio's first attempt at the in-house creation of a new series since Angry Birds. As such, it warrants a little extra scrutiny, and in this instalment of the PocketGamer.biz charticle, we'll be trying to judge just how successful Rovio has been. So, the charts show that Bad Piggies is doing well in the US, but how is it performing worldwide? Analytics shows that Bad Piggies on iOS has reached #1 in the top grossing games charts of 17 countries since launch, including Canada, Poland and its native Finland. Analytics data (courtesy of App Annie) showing Bad Piggies's worldwide chart performance. However, the game did not reach the top of the charts in any of the EU5 nations  France, Spain, Italy, Germany and the UK. The same is true for Bad Piggies HD, too. Of course, the game was comfortably within the top 10 in these regions, but its failure to claim the top spot in these significant markets will be a disappointment for the European studio. That disappointment is only compounded by a comparison to Angry Birds Space. The most recent title in the Angry Birds series topped the App Store's top grossing games charts in 104 countries, including the US, China and all of the EU5 nations. Analytics data (courtesy of App Annie) showing the worldwide chart dominance exerted by Angry Birds Space. However, when you compare Bad Piggies to Rovio's latest release  Amazing Alex  things don't seem so bad after all. Amazing Alex peaked at #8 on the US top grossing games charts, and #5 in the UK. In terms of raw downloads, it did much better, reaching the #1 position in the paid games charts of 95 countries. Nonetheless, after just a few days on sale, Bad Piggies has already matched that impressive total, and is seemingly doing a better job of turning those downloads into revenue. It's much more difficult to assess the game's performance on Android, given that Google's open source OS is actually fairly opaque when it comes to pulling app information. Here's what we do know, though. As per Rovio tradition, Bad Piggies launched on Google Play as a free download that's supported by in-app advertising. This means that Bad Piggies for Android is earning revenue that won't be tracked by any top grossing charts. However, a look at the free game rankings can provide some idea of how Bad Piggies is performing on Android. Since its release on 27 September, the game has climbed from #39 to #27  not bad, but it's hardly setting the charts on fire. In fact, Bad Piggies has only broken into the top 10 free games chart in one country  Finland, where it's been #1 since launch. Google Play currently pegs the game's total number of installs between 500,000 and 1 million for Bad Piggies, and between 100,000 and 500,000 for Bad Piggies HD. For Rovio, of course, chart positions and rankings are of a largely totemic value now anyway. It's not just a software house anymore, and its brands spread far beyond the walls of any app store. But at some point, Rovio will need another killer franchise, and it appears replicating the success the studio enjoyed with the Angry Birds series is going to be easier said than done.